How would you feel if you stepped into your house after a tiresome day, and a waft of fresh, tangy, and calming essence hits you? If I were you, I’d take in all of the essence and just get lost in a trance. This is precisely what grapefruit oil does to you. It is an essential oil that has a rejuvenating, relaxing aroma along with a variety of purposes. Wouldn’t you want to know more? Let’s get started then. Grapefruit (Citrus x paradisi) is a hybrid that was initially grown in Barbados. It is a cross between sweet orange (Citrus sinensis) and pomelo/shaddock (Citrus maxima). It got its name from the way a few of these hung in clusters on the trees – like a bunch of grapes. What’s so unique about it that I want you to buy the essential oil right away? Read on to find out! Grapefruit oil has a fresh, citrusy smell, which, when inhaled, gives a burst of freshness. The fragrance soothes your mind and body. Hence, it is used in aromatherapy. Along with other essential oils, it is used to ease mental stress, depression, and post-partum sickness in patients undergoing intense trauma, labor, and harsh treatments (chemotherapy, radiation therapy, etc.). Try adding grapefruit oil to your vaporizer and see how it brings in ‘soul’ace. And yes, your pets too are going to be extremely happy inhaling this essence. According to a study performed on mice in 2014, grapefruit oil, when inhaled, increases nerve activity, causing breakdown of lipids (lipolysis) (1). It controls your blood pressure and decreases food intake. In one way, this decrease in appetite is linked to weight loss as you don’t feel the need to binge on food at odd hours. Doesn’t that feel nice? Grapefruit extracts exhibit antibacterial properties, especially against the bacteria that are multidrug-resistant (MDR) and cannot be killed using usual doses of antibiotics (2). Apply grapefruit oil or inhale the essence if you are prone to or have a bacterial infection. Studies have shown that this essential oil can cure fungal infections caused due to Candida albicans, Aspergillus niger, and Penicillium chrysogenum (3). You can also use grapefruit oil for managing viral infections – most commonly, the flu. 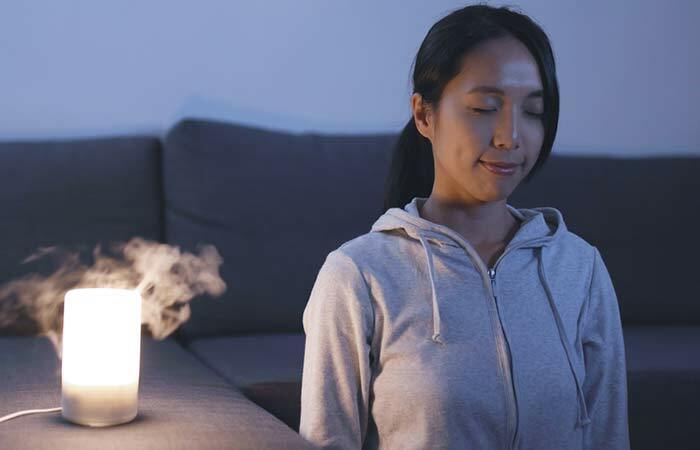 Try adding the oil to your diffuser when you are down with flu for a calming effect. You can also add it along with your nasal decongestant to the steam bath. Due to its chemical composition, grapefruit oil, in combination with other essential oils, can soothe strained nerves. Massaging with grapefruit oil can help fight peri-operative anxiety among patients due for surgeries – reducing the dependence on anesthesia. 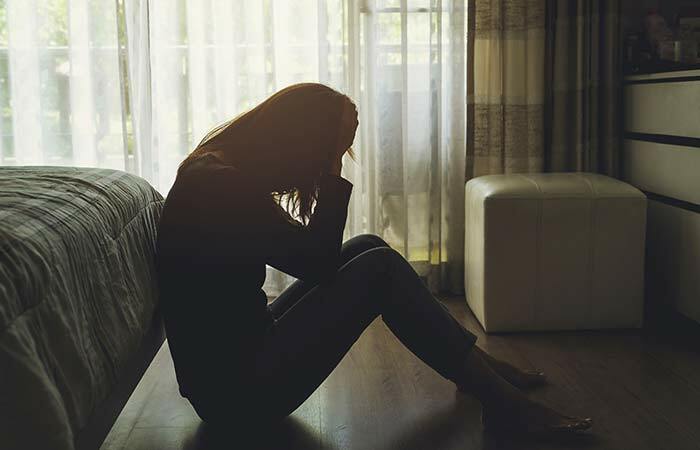 Depression can be managed efficiently using aromatherapy. Grapefruit oil triggers your brain to produce hormones that uplift your mood and spirit. Nothing can sound sweeter than this, isn’t it? A regular whole body massage for 30 minutes to 1 hour with grapefruit oil, in combination with other essential oils, can result in abdominal flab reduction. This finding was according to a study done on women who crossed 50 years of age (4). It might work on women younger than 50 years too. Whole body massages can help in toning your entire figure, not just the cellulite. So, grab a bottle of this fat burner if you need that hourglass figure now! Grapefruit oil is abundant in antioxidants, which make it one of the best immune system boosters. It cleanses the body of toxins and free radicals and ensures the lymphatic system runs smoothly. It can prevent premature aging, memory loss, and loss of eyesight. Can’t get off your bed because it’s that day of the month? Can’t move your head because it feels like a rock? If you are looking for a solution, you are on the right page. The tangy-smelling grapefruit oil is the single solution for all your cramps, hangovers, stiff muscles, catch in the neck, swollen feet, morning sickness, and even arthritis. It improves blood circulation, prevents fluid retention, and relieves your body of stress caused due to alcohol and inhaled pollutants. Massaging your scalp with grapefruit oil, along with your regular hair oil, improves blood circulation and strengthens the roots. Due to its antimicrobial activity, grapefruit oil keeps infections at bay and gives you healthy scalp and hair. Say goodbye to hair fall! But, hold on! What gives grapefruit oil its superpowers? Several studies identified terpenes, sesquiterpenes, aldehydes, and alcohols in grapefruit oil by chromatographic methods. Limonene is the most abundant component in this oil, (73.9%-96.2%), along with traces of ß-myrcene (1.4%), linalool, geraniol, and nerol (5). These complex terpenes and alcohols exhibit antioxidative and anti-inflammatory activities. What if I told you that making grapefruit oil was as easy as making its juice? Yes, it’s that simple. Let me share a short and easy recipe with you. 1. Wash the grapefruits thoroughly. Get rid of the wax or any debris on the skin. 2. Peel the grapefruit. Using a kitchen grater, remove the pith (white layer) stuck to the skin. Grate it carefully to not lose too much of the skin along with the pith. 3. Spread the skins out on a plate and leave it in a warm place to dry. Ensure the area and the plate are dry to avoid unnecessary microbial growth and moisture in your oil. 4. You can either heat the oil with the skins (Method I). Or you can just let the skins soak in the oil (Method II). In a thick saucepan, place the skins and add the base oil until they sink into it. Switch on the heat/stove, place this vessel on it and cover with a lid. Leave the oil to slow boil over low heat/flame. Keep mixing intermittently. It might take several hours for the essence to infuse well into the oil. Place the skins in a mason jar or any small glass bottle. Add the base oil until the skins sink in it. Seal the jar and expose it to direct sunlight for about two weeks. 6. Transfer the contents to a vessel covered with 4 to 5 layers of cheesecloth. 7. Squeeze as much oil as you can into the vessel. 8. Store the oil in cool, dry place in amber or dark-colored bottles, away from sunlight. Alright. You read about grapefruit oil, thought about using it, and made yourself a batch of it too. Good progress! But you would find it too-good-to-be-true and get all skeptical about using this oil. Am I right? 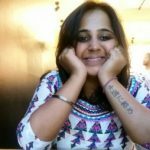 Before the questions pop up in your head, scroll down to read about the side effects of using the oil. Certain essential oils or formulations with grapefruit oil can increase your skin’s photosensitivity. Long hours of exposure to the sun after applying this oil topically might cause redness, dark spots, pigmentation, or blisters. 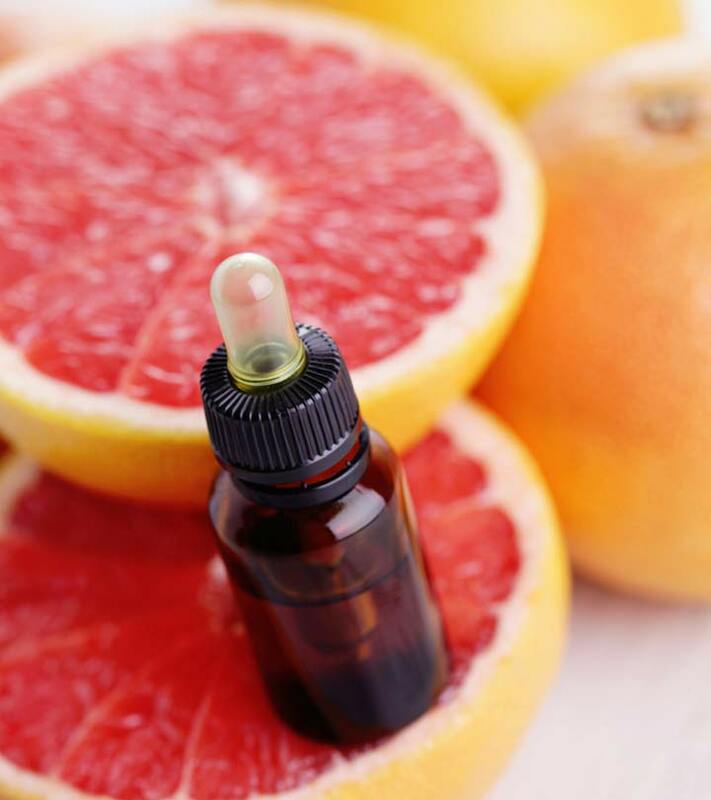 You should avoid UV rays (from the sun or tanning beds) for 12 hours after using grapefruit oil. It is better if you don’t use it if you are going to be out in the sun for a long time. Pregnant and nursing women should consult their doctor before using this oil. For infants and children (or anybody, for that matter), use only 100% pure essential oil. The maximum concentration of this oil you can use is 4%. If you keep these drawbacks in mind and use good quality grapefruit oil in the right quantity, it is going to be your best friend indeed. 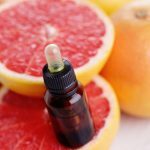 Use homemade grapefruit oil if you are worried about authenticity and adulteration, or buy it here. If you like this article and wish to read more of this kind, please like and share. Your feedback is valuable, so do write to us. What is the difference between pink and white grapefruit oils? There is not much difference between pink and white grapefruit oils. The pink one smells sweeter than the white and is used more commonly. Does grapefruit oil interfere with medication? No interaction between grapefruit oil and medication has been reported. There are studies about grapefruit juice actively interacting with certain drugs, but this activity is relatively weak in the oil. Unless you ingest reasonable amounts of the oil, you can safely use it while on medication. The right quantity to ingest is still unclear, but aromatherapy is considered safe in most cases. Which essential oil is a substitute for grapefruit oil? Tangerine oil and lemon oil can be good substitutes for grapefruit oil. They have similar physical properties but might have different therapeutic benefits. It is better to double check with a physician or the vendor’s safety data sheet before using any essential oil.